Ampcontrol has supplied modular electrical switchrooms to every industry and environment. From open cut mines, processing operations and infrastructure projects, we work closely with our customers to develop a solution that is unique, safe and compliant for their application. We are leaders in power infrastructure and understand the requirements of powering underground coal mines and hard rock mines, tunnels and oil and gas applications. Our approach to these markets has been simple; design, manufacture and deliver electrical solutions that will improve safety, maintain efficient operations and meet stringent regulatory requirements. We believe there is still value in knowing and seeing your electrical partner and this is why we don’t tackle customer challenges with a ‘one-size fits all’ approach. All of our electrical solutions are customised to specifically address your requirements. To do this we take a big picture look at the needs of an individual application, making full electrical package solutions our most valuable offering. To ensure your operations can continue efficiently and assist with reducing capital expenditure we can also supply a range of reconditioned hazardous area power distribution products for sale or short or long term hire. Ampcontrol’s refurbished second hand power equipment includes substations, transformers and cables available for purchase, short or long term hire or via service exchange to enable you to temporarily replace critical equipment during overhaul and service work. If you need a piece of electrical equipment to keep you running during maintenance or are looking for a permanent addition to your site our range of refurbished power infrastructure equipment is available for quick dispatch. We can also provide after sales service for purchased or hired electrical equipment including electrical system design, service contracts, engineering, periodic maintenance and statutory testing and commissioning. At Ampcontrol we believe in creating and maintaining the highest quality power possible for our customers through an in-depth understanding of power usage and electrical efficiencies. Ampcontrol is one of Australia’s leading designers of power quality solutions for mining and heavy industrial applications. Ampcontrol member company Captech, provides power quality and power factor correction solutions for the commercial and industrial industries. Captech’s aim is to improve power quality issues, optimise power usage, reduce power costs and increase safety and compliance; outcomes which are critical to energy intensive sectors such as mining, industrial, commercial and power utilities. Captech’s team of highly qualified and skilled engineers can assist in providing a power quality solution to suit specific applications. Comprehensive system support and analysis ensure your installation is performing at its best. Ampcontrol’s robust, high specification, custom engineered and manufactured transformers are known for their quality and durability. Ampcontrol’s quality, Australian, transformer designs cover dry and oil type transformers for electrical distribution substations, power generation, voltage regulation, underground mining, traction and refining applications. We are also experienced in the design and manufacture of transformers using alternative cooling fluids, including ester dielectric fluids, for service levels up to 132kV. 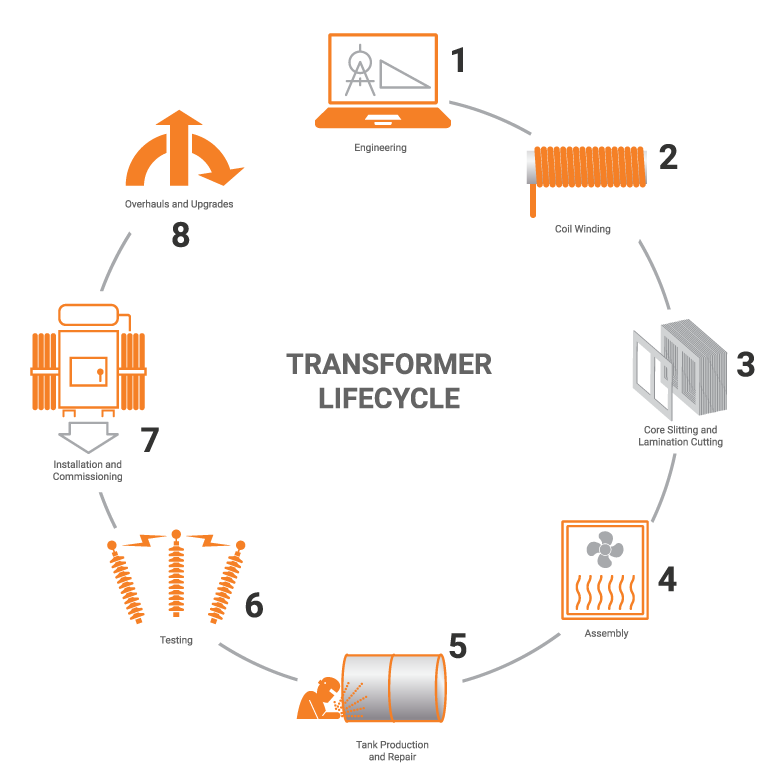 We don’t just manufacture transformers, we add value through our solutions based approach to specialised transformer projects. With our broad capabilities and product ranges we are uniquely positioned to integrate our power and distribution transformers with other Ampcontrol products and capabilities including fixed modular, relocatable and transportable substations as well as third party products. 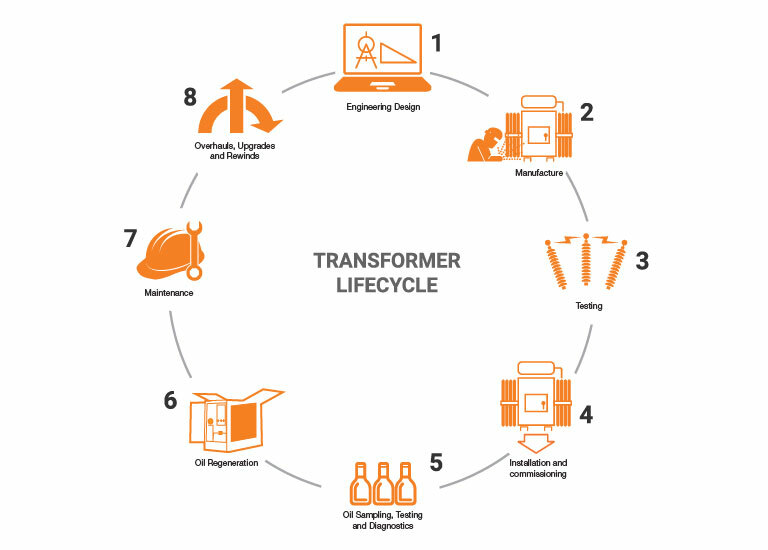 To ensure you get the most out of your infrastructure we support customers with a range of transformer engineering, testing and services across the full transformer lifecycle and have a comprehensive range of refurbished and reconditioned transformers for sale or short to long term hire. Ampcontrol can undertake all major and minor insulating oil analysis tests, condition assessments and oil material characterisation, electron microscopy and specialised analysis. Our facilities provide you with access to a full suite of testing capabilities, supported by experienced staff, with all work compliant with ISO/IEC 17025.